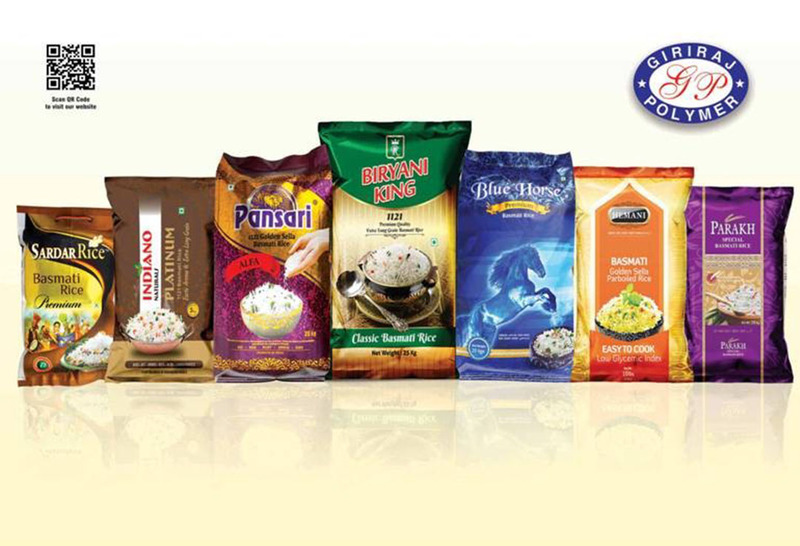 Giriraj Polymer is leading Rice packaging bag manufacturer and has gained popularity for a superior quality of Printed rice bags. Our team works efficiently to maintain the quality of rice bags with easy handling and convenience for transportation. We manufacture these bags in standard sizes and customization is also done according to the requirement of clients. We offer very cost-effectively and the Rice packaging bag design is made to look totally different and appealing brand. Our services also include Rice bag printing and we provide unique designs and very vibrant and different shades of color. The machinery used to manufacture these bags are modern and ready to serve bulk orders. If you are looking for Rice bag manufacturer who can redesign your old brand or if you want to launch a new brand then Girirraj polymer is the solution to all your requirements. The Rice bag printing is done with information of the rice which is packed in the bags and ensures that it should look clean and easily identified. We as a reputed Rice packaging bag manufacturer always maintain the quality to ensure the protection of rice for its long duration storage.